15th of September, 2011 is the 121st birthday of Dame Agatha Christie, DBE. Arguably, one of the most famous and prolific mystery writers of all time, her contribution to the detective/mystery genre is indisputable. Now, it is no secret that I love Agatha Christie’s works! Although Arthur Conan Doyle’s Sherlock Holmes stories first got me interested in the genre of mystery, it was Agatha Christie and her creations that got me totally enamoured with the genre. 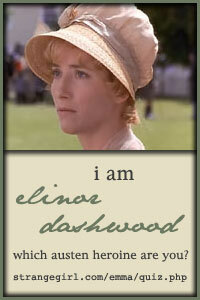 So, today I will discuss some of my favourites among her creations, both characters and books, as a tribute to her. Miss Marple is my favourite Christie detective. It started with A Murder is Announced (1950), my first Miss Marple mystery. Since then I have read every single Miss Marple novel and short story out there. I love how Miss Marple always assumes the worst about everyone and is always frighteningly right. The Miss Marple short story collection, The Thirteen Problems (1932) (also known as The Tuesday Club Murders) is my all time favourite Agatha Christie book. My favourite stories from The Thirteen Problems are The Tuesday Night Club, The Idol House of Astarte, The Blood-Stained Pavement, The Blue Geranium, The Companion, The Four Suspects, A Christmas Tragedy and The Herb of Death. The Idol House of Astarte and The Blue Geranium creeps me out. I remember reading The Idol House of Astarte while riding the bus with chattering class mates and I still felt a chill go down my spine. The Blood-Stained Pavement is a predecessor to Evil Under the Sun. The usage of the language of flowers thing in The Four Suspects was very interesting. A close second is Sleeping Murder (written in the 40’s, published in 1976). The story with its themes of suspicion and jealousy and tacit hints of something even more forbidden feels ahead of its time. The atmosphere of the home where it all takes place is creepy to say the least. Hercule Poirot is perhaps Christie’s best known detective. I love his little idiosyncrasies and the way he sometimes pretends to be more ‘foreign’ than he actually is. My first Hercule Poirot was Lord Edgware Dies (1933). My all time favourite Poirot mystery is Cards on the Table (1936). I love this book because this has Mrs. Oliver joining forces with Poirot for the first time and Colonel Race & Superintendent Battle, two minor Christie detectives, come together with Poirot for the first and the last time. The impossible setting of the murder also is another major reason I love the book. A strange mixture of mystery and supernatural, Mr. Harley Quin, is perhaps the most unusual of Christie’s creations. 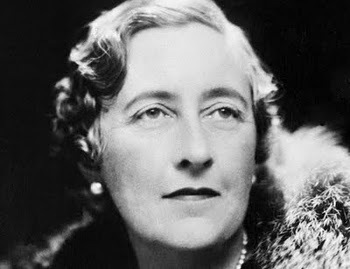 Even though in her autobiography Agatha Christie mentioned that Mr. Quin and his friend Mr. Satterthwaite were her favourite creations she wrote only 14 short stories featuring Mr. Quin. 12 of those were collected in the book The Mysterious Mr.Quin. As a collection of short stories, The Mysterious Mr.Quin is exceptional. The plots of the stories are quite nondescript at times but the presence of Mr. Quin makes reading The Mysterious Mr.Quin worth while. I believe Parker Pyne has been extremely neglected by every one. I really like his stories because they have a certain warmth to them. There are a total of 14 Parker Pyne stories of which I loved The House at Shiraz (1933) and Death on the Nile (1933) (a short story, not the Hercule Poirot novel of the same name) from the collection Parker Pyne Investigates (1934) the best. Interestingly, Hercule Poirot’s secretary Miss Lemon started out as Mr. Pyne’s secretary. Poirot’s friend Mrs. Oliver also makes an appearance in one of the Parker Pyne stories. A nice link between the two detective’s worlds. I love reading plays in general. 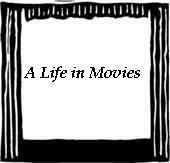 Among Agatha Christie’s plays my favourites are And Then There Were None (1943), Appointment with Death (1945), The Hollow (1951) and of course the legendary The Mousetrap (1952). Interestingly, all of these plays feature people who are trapped somehow. And Then There Were None, The Hollow and The Mousetrap both have a group of unlikely characters stuck unwittingly in an isolated house while Appointment with Death features a family suffocated by their menacing family matriarch. Finally, I would like to wish Agatha Christie a very Happy Birthday. Happy Birthday Ms Christie! Thank you for making me happy and comforting me with your wonderful cosy mysteries when I need it the most! 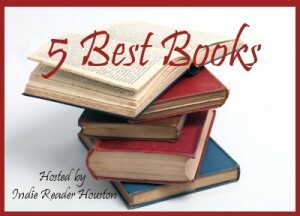 In this week’s 5 Best Books we are asked to list our Five Best Books: Re-reads. I love to re-read. Many authors I consider to be my favourites are based on of how many times I have re-read their books. All of the authors of this week’s top 5 are my favourite authors. Agatha Christie could have featured as a top 10 all by herself but I have restricted myself to only two of her books, one from Miss Marple and the other from Hercule Poirot. So without much further ado, here are my top 5 Re-reads. 1. Pride and Prejudice by Jane Austen – I first read Pride and Prejudice at 11-12 years of age. Ever since then it has been re-read many, many times. Nothing, of course, can match the thrill of the first read but this book never fails to capture my interest. Even though I know how it ends, I still fell anxious about the predicaments of Elizabeth and Darcy. My copy of Pride and Prejudice was a wedding gift for my mom at her wedding nearly 25 years ago. It is falling apart due to its age, the many re-reads do not help either. Time I got my own copy, I guess. 2. Cards on the Table by Agatha Christie – Even though, I am a Miss Marple fan, for some reason Cards on the Table is the Agatha Christie book I have read the most number of times. The gripping plot is the main reason behind it but all the recurring characters is also a big attraction for me. This book features the most recurring characters of any Agatha Christie book that I have ever read. Colonel Race, Superintendent Battle, Ariadne Oliver, just to name a few. As a ‘bona fide’ Agatha Christie fan that is nothing less than a feast for the mystery hungry soul! 3. Sleeping Murder by Agatha Christie – This is by far one of the best Miss Marple novels ever written. For those who have never read any of Agatha Christie’s works this is a fine place to start. Each re-read feels like the first time to me. The atmosphere of the book and the twisted nature of the main plot, never fails to creep me out. The freshness of the story never dims. One of my all time favourite comfort reads! 4. Dracula by Bram Stoker – How can a book that I have read and re-read so many times still fill me with so much fear and dread? I know the book almost by heart now. But Jonathan Harker’s experiences in the Castle Dracula, the count’s arrival in England, his encounter with Lucy and her mother, the Count’s evil presence at the asylum, it all still manages to scare me and I’m not a person who’s easily scared. A book worth every re-read it gets. 5. The School for Scandal and Other Plays by Richard Brinsley Sheridan – The School for Scandal and Other Plays is a collection of five of Richard Brinsley Sheridan’s most famous plays, The Rivals, The Duenna, A Trip to Scarborough, The School for Scandal and The Critic. Every writer has at least one or two duds, in my opinion. But Sheridan’s plays rarely fail to entertain me. As a result, The School for Scandal and Other Plays remains one of my eternally favourite books. Even after several re-reads I still laugh at the same jokes. This one never really grows old for me. Cards on the Table was first published in the UK by the Collins Crime Club in 1936 and is one of my all time favourite Agatha Christie mysteries. It was one of the favourite cases of Hercule Poirot while Capt. Hastings found it very dull (but I never did have much faith in Hastings judgment!). Curiously, the plot of this book had been described by Poirot in The A.B.C. Murders as his idea of the perfect case. Poirot gets invited to have dinner at the house of the rich and rather disquieting Mr. Shaitana. Mr. Shaitana is a collector of various curiosities. At the dinner Poirot meets Colonel Race, Superintendent Battle and Ariadne Oliver and also Mr. Shaitana’s collection of ‘successful’ murderers. Before the evening is concluded the host ends up getting murdered and Poirot (with a little help from his friends) tries to figure out which one of Shaitana’s collectibles turned lethal. Cards on the Table can be called a locked room mystery. It has what I most enjoy about Christie mysteries, the psychological angle. What I like most about this book is the setting of the murder and the impossibility of that setting. How could someone commit such a crime and get away with it (even if for a short period of time)? Then there are the twists. Even if I could spot them from some time before (but that is because I’ve read too many Christie books), they are still good. This book is unique in a sense that never in any of the Poirot books that I’ve read have I come across so many recurring characters. This book has the characters of Colonel Race, Superintendent Battle and Ariadne Oliver coming all together with Poirot for the first and the last time. This book also marks the first appearance (in a Poirot mystery) of one of my favourite Christie regulars, Mrs. Ariadne Oliver. She had formerly appeared in the book Parker Pyne Investigates in a short story titled The Case of The Discontented Soldier. Mrs. Oliver would go on to assist Poirot on several more of his cases. This in my opinion is one of the best books to feature the formidable Mrs. Oliver and the incomparable Poirot together. Among the characters I like Rhoda Dawes. She is vivacious and full of life unlike her pretty but lifeless friend Anne Meredith. Mrs. Lorrimer is kind of frightening with her grim and practical manner. The character of Major Despard is a bit wooden. Even though I don’t understand bridge (or any other card game for that matter), the way Poirot uses the bridge game scores to analyze the characters of the suspects is marvellous. And Christie has done a wonderful job of explaining the significance of the bridge scores that even a clueless person like me had no trouble comprehending it. This may be a book with a card game at its centre but one doesn’t have to be a card enthusiast to love this yarn. Anyone who loves a gripping mystery can play in this game of cards. From my favourites I would take some Agatha Christies like Cards on the Table, Evil Under the Sun, Miss Marple: The Complete Short Stories, The Pale Horse; etc. 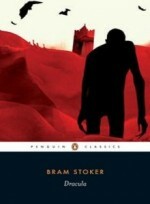 Or give Bram Stoker’s Dracula another re-read. From my yet to be read books I think I would take something light like Alan Bradley’s The Weed that Strings the Hangman’s Bag or A Red Herring Without Mustard. Or maybe something I have wanted to read for a long time but have never got around to, like Charles Dickens’ Bleak House.